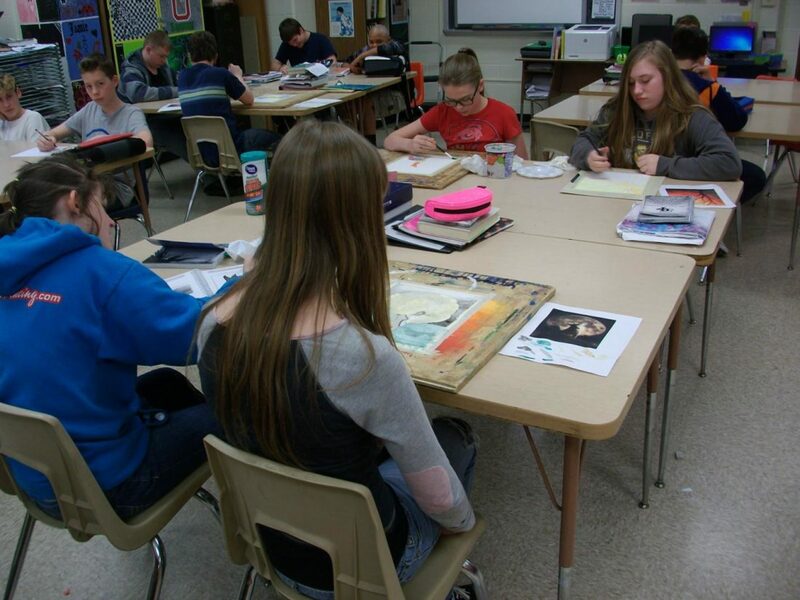 PHOTO SUBMITTED Old Fort High School art teacher Julie Wax’s eighth grade students work on watercolor paintings which are to be entered into the Seneca-Wyandot County Art Show March 10. Students in five area schools are to enter artwork in the annual Seneca-Wyandot County Art Show next Friday. The show, to take place 5-7 p.m. March 10 at Sentinel Career and Technology Center, is to feature artwork by students in grades 7-12. 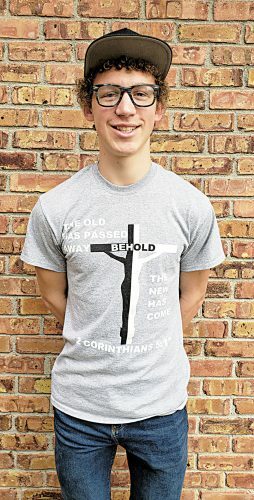 Schools featured include Old Fort, Seneca East, Hopewell-Loudon, New Riegel and Mohawk. This is the 11th year, Old Fort art teacher Julie Wax said. Seneca and Wyandot counties competed in the Five County Art Show prior to this show. “We are so fortunate that Sentinel provides us the opportunity to hold our art show every year,” Wax said. Wax is assisting in coordinating the show. Each school is allowed to enter 50 pieces per division in the show, with 10 per category. Wax said there will be two divisions, junior high and high school. Featured artwork includes 2-dimensional and 3-dimensional work, drawings, paintings, sculptures, stained glass, weaving, prints, pottery and other media, Wax said. In each division, students can vie for first-, second- or third-place ribbons, honorable mention and Best of Show and Reserve Best of Show awards. According to Wax, her students will be entering artwork in the categories of drawing in pencil, ink, scratchboard and oil pastel, painting in water color, tempera and acrylic, printmaking, mixed media, silk painting, silkscreen and weaving.